Do you hate to say goodbye to the summer? Does part of you panic when you start seeing signs advertising pumpkin spice lattes and Halloween candy? 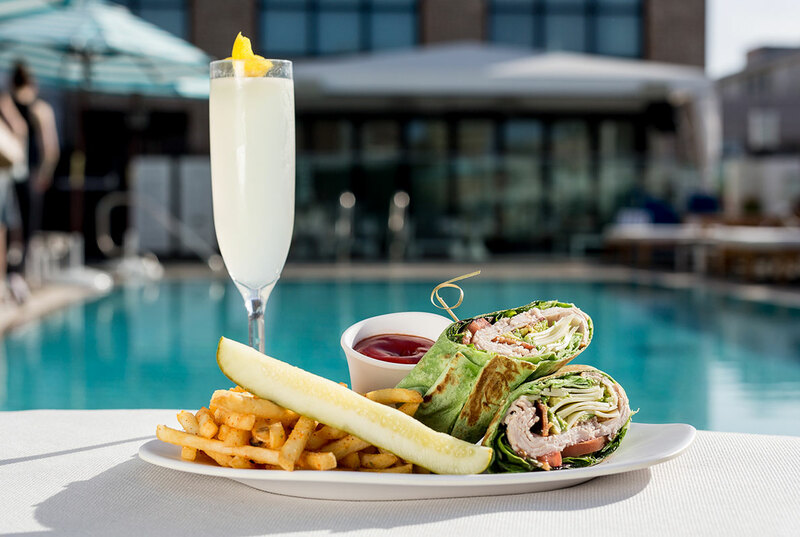 If you’re a summer die-hard, then we’ve got good news: The Pool House is open and ready to deliver summer vibes all year long. We’re open year round! Remember, friends: the weather’s pretty much always great in San Diego. The average temperature here is 72 degrees! Our incredible rooftop bar is open all year round, so you can enjoy a leisurely late breakfast or lunch (and yeah, maybe a cocktail or two) any time of year and soak up some sun in a beautiful and serene space in the Gaslamp Quarter. The view never goes out of style. No matter the season, a rooftop view never goes out of style. On our rooftop bar, you can enjoy a clear blue sky view most days of the year–after all, San Diego is sunny an average of 266 days a year. You’ll marvel at the gorgeous views of San Diego that can be enjoyed from our rooftop bar, offering a metropolitan vibe while simultaneously feeling like a serene getaway. Light and healthy fare. For many, fall and winter is the advent of unhealthy eating. Rich and heavy foods dominate most social gatherings through the holidays and into the new year! At The Pool House, we like to keep things light and bright all year round. 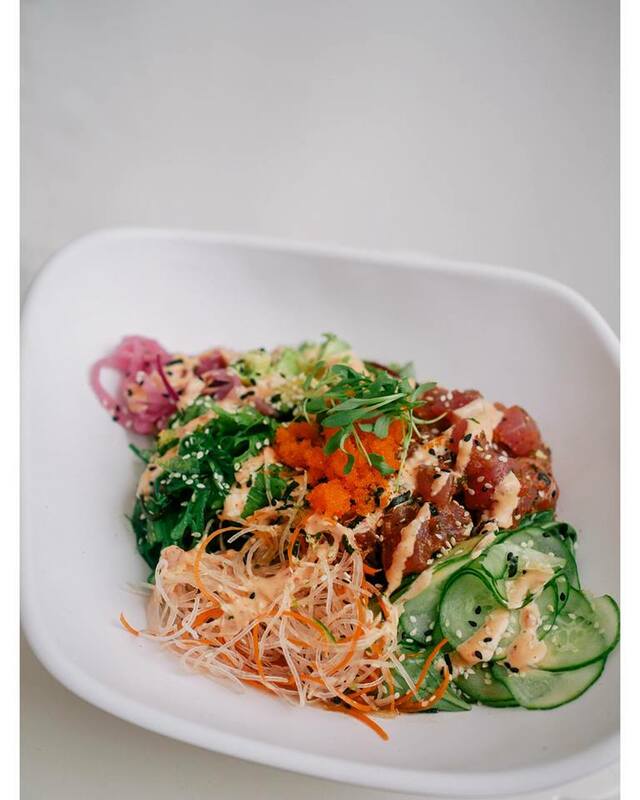 Not only is it in keeping with our summery vibe, but it’s simply the healthy California cuisine style! 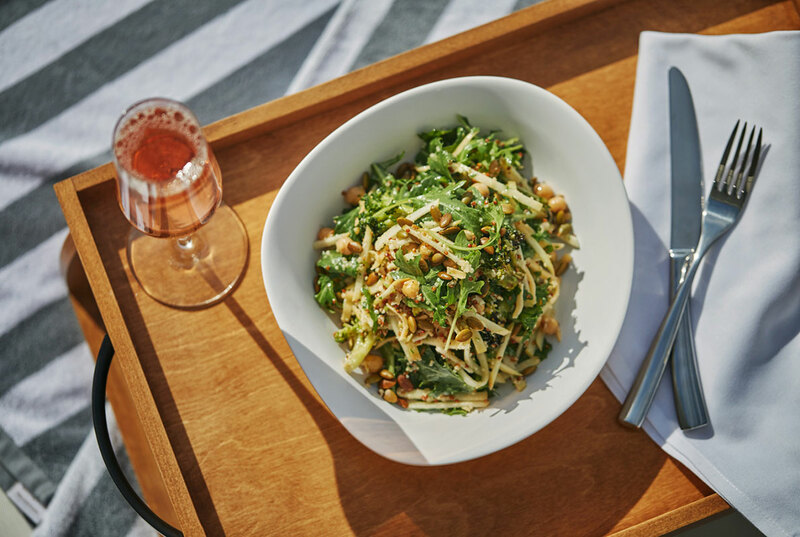 On our menu, you’ll find awesome salads including our Apple and Quinoa Salad, featuring crisp slices of apple and quinoa with chickpeas, gouda, and roasted pumpkin seeds, as a robust gluten free menu section, including items like Coconut Ceviche, Chips and Guacamole, and a crave-worthy Granola Bowl. Frozen drinks a-plenty. It’s hard not to feel a summery sensation when you’re enjoying a well-made frozen drink. 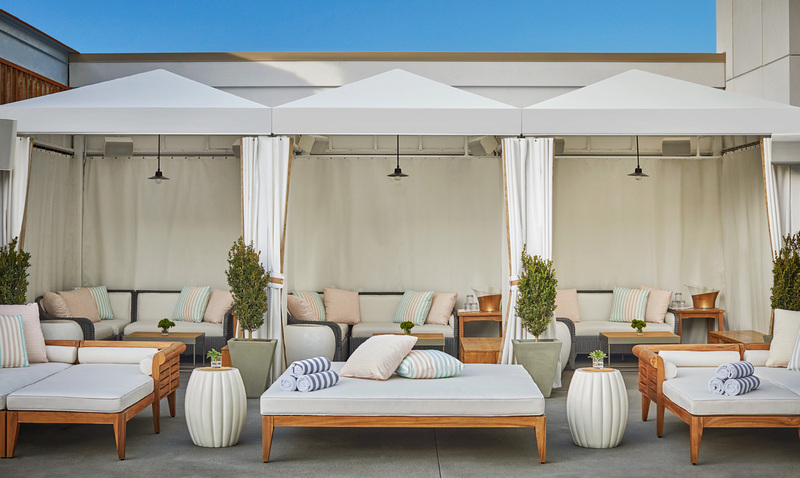 At The Pool House, our rooftop bar boasts a creative menu of mixed drinks, including Mojitos, clever takes on the Moscow Mule cocktail, and a bevy of frozen drinks. The only real dilemma is deciding which one to try first! Will you go for the Wet Sand cocktail, made with Malibu Black Coconut Rum, pina colada puree, and pineapple juice? Or will you try the Cherry on Top cocktail, made with Belvedere Wild Berry Vodka, Stoli Vanilla Vodka and cherry puree? Oh, and did we mention we also offer the ultimate summer drink, Frosé? Ours is made with Campo Viejo Rosé, Absolut Vodka, fresh raspberries, and fresh watermelon juice. It’s always a good day to reserve a cabana or daybed. 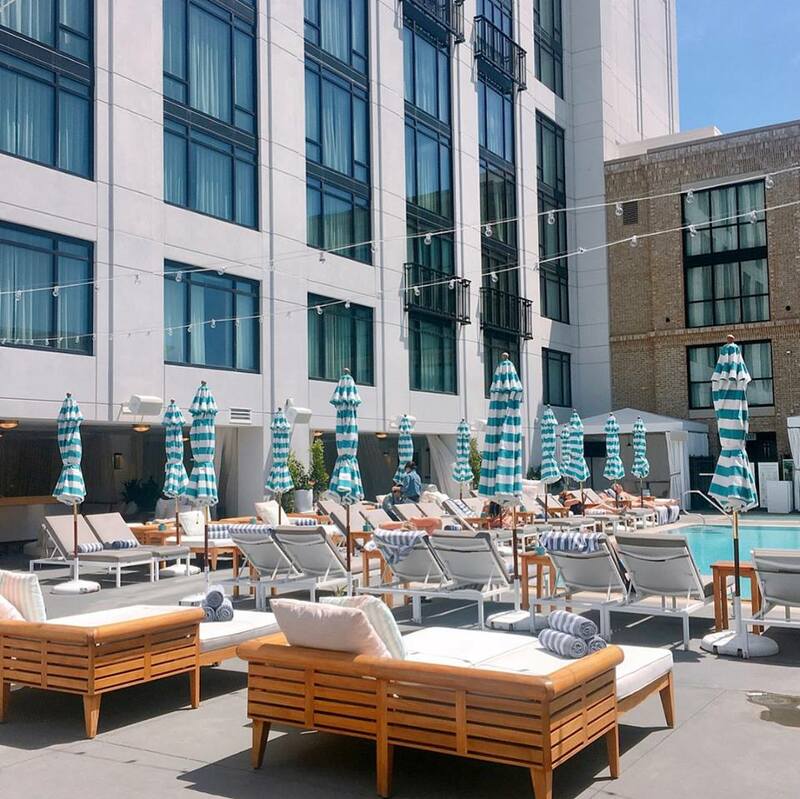 The fact that we’re open year round means that you can reserve a daybed or cabana year round! Hands down, this is the best way to enjoy The Pool House’s offerings in style. This VIP service allows you to reserve a prime time spot by the pool. When you arrive, you’ll be taken right to your reserved spot, without waiting in line. This a great benefit as our hotspot rooftop bar can get crowded! You’ll enjoy private wait-service, bussing service, and your own security staff. Oh, and when you book this luxury service, entry to the venue is included! With this VIP service, you can actually reserve a poolside daybed or cabana in advance, so that you’re guaranteed a prime spot when you arrive, along with many other perks. Upbeat entertainment. When you think of summer, you probably think of upbeat outdoor entertainment like concerts and DJ sets. Happily, we still have several outdoor music events on the upcoming calendar, even as summer comes to an end! Check out our Events Calendar to see what’s coming up at The Pool House. The perfect spot for a Last Hurrah! If somebody’s getting married, The Pool House is the perfect spot for a Last Hurrah or one last fling before the ring! Since the weather is great year-round in San Diego, it’s the perfect destination for pre-wedding parties. 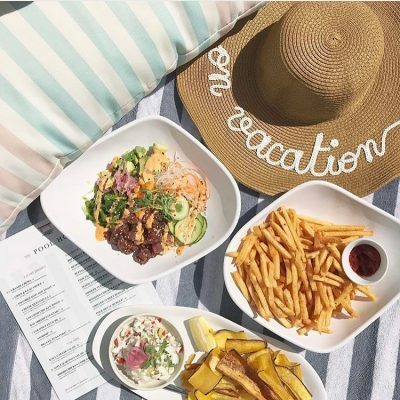 Not only can you enjoy The Pool House, but you can also take advantage of the other offerings on the premises of The Pendry San Diego, including the hotel’s luxe lodging, world class cuisine at Lionfish Modern Coastal Cuisine, and a cool club vibe at Oxford Social Club. Conclusion: It’s sad to say goodbye to the summer, but at The Pool House, you can enjoy the warm weather all year long. Our beautiful rooftop bar offers a fantastic ambiance, light and fresh cuisine, and gorgeous sunny skies all year round. In short, it’s the perfect place to enjoy an endless summer.